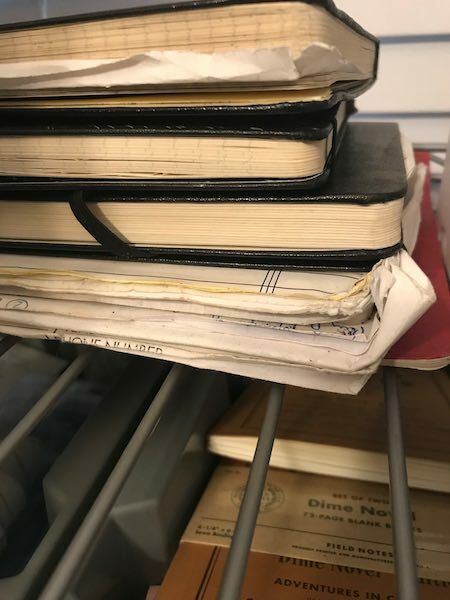 I keep all of my old moleskine and other forms of notebooks, and I have a ridiculous variety of smaller Field Notes notebooks filled to varying levels of completion. I write all kinds of things, and keep random journals of notes, thoughts, ideas, and bad diagrams. I keep them all for the same reason Austin and others keep theirs. To find what I didn’t know I was looking for. That inspiration. That connected dot. That story I want to tell next. This is an excellent reminder that we should take time to reflect on what we’ve thought previously, as it might be more applicable to what we’re thinking today than it was when we wrote it down. Be well, friends. And write more. I’d like to read it.